On 10 March 1960, His Holiness the Dalai Lama made his first national address in exile — equivalent to the US State of the Union Address — on the occasion of the first anniversary of the Tibetan People’s Uprising, calling for “continuity of our cultural traditions”. With an evolving Tibetan community that involves children and young adults growing up in the United States, thirty-plus Tibetan Associations (TAs) in North America would need to innovate and advance in order to meet the challenges of our community members. TAs and their Tibetan cultural centres (CCs) are important landmarks for our community, and central to the preservation of our cultural heritage including identity and language. They should strive to build vibrant communities and meet the growing needs and challenges of the Tibetan community through various programmes and services. TAs and CCs have to play a pivotal and defining role in the struggle for language, cultural identity, and their preservation. Their other major goal is to meet the needs, interests, concerns, and grievances of community members by offering educational, cultural, recreational, and social programmes and services. Our primary goal should be to make the best use of CCs and their huge potential in the interest of our community. That any TA zeroes in on making rental income from its centre is important, but focus should be on its primary objectives laid down many years back: To provide a hub for community members, young and old, to mingle and learn from each other; to offer services and programmes such as free health education and check-up, after-school programmes, educational workshops, summer camps, ESL classes, youth mentorship, Tibetan language, political history, and dharma classes for young and old, prep classes for citizenship interviews, space for learning and reading, to name a few. The door could be open daily for the use of community members in order to realize these dreams. It is most appropriate to make the centre open to all including Inji friends and any interested people outside our community to prevent ethnocentrism and to learn from them. New Tibetan immigrants face a lot of challenges in their first few years. TAs should provide relief for new arrivals with special assistance programmes and educating them with skills workshops and training to ensure proper transition to their new life. Many of them, especially elders and those from Tibet, have language barriers to hurdle. ESL and citizenship classes would be a good start. The cultural comfort zone this offers can give them peace of mind and a sense of ease during their major transition in life. Tibetan Sunday School is the most important programme of TAs in the preservation and promotion of language. The significant role of parents cannot be left out when pointing out the responsibility of Sunday school: Parents need to teach and speak to their children in Tibetan. Tibetan children growing up in United States face challenges and language barriers during community gatherings, and occasionally face internal racism when they cannot speak proper Tibetan. They face the risk of losing the identity and Tibetan-ness that is distinct from other communities in the United States. In response to these challenges, with the realisation of values and benefits it entails, Tibetan schools play a significant role in teaching younger generations how to speak, read, and write in the Tibetan language. The residual benefit is the opportunity for bi-lingual ability and cultural balancing act as they grow up with these added advantages to successfully engage with both Tibetan and mainstream American communities. The assimilation and ethnicity can go hand-in-hand. They can assimilate and integrate with mainstream culture but still retain and take pride in their ethnic identity, like the Jewish-American and Chinese-American communities do. Jewish Sunday school can serve as a model for our Sunday schools. It is also important to be aware that Italian-, Japanese-, and Irish-Americans lost their cultural identity and heritage almost completely due to assimilation — although Japanese-Americans in the San Francisco Bay Area are working to revive their cultural identity and Japan Town through community-led initiatives of cultural heritage preservation and economic development. One of the major challenges that Tibetan Sunday Schools face is to come up with a curriculum that works best for Tibetan children growing up in United States. The need to produce textbooks that bloom their interest in learning Tibetan is the key. Tibetan Association of Northern California (TANC) made a significant contribution in that regard. The recent launch of textbooks for Tibetan schools in North America was made possible with seeds sown in the year 2012 when TANC organized a Tibetan Language Conference in its community centre. The conference was quite successful with a few concrete results. It laid the foundation for drafting a textbook curriculum steered towards Tibetan children in North America growing up under a different environment and education system. A textbook drafting committee was constituted, and tasked with the responsibility of drafting textbooks for three levels from Kindergarten through grade VIII. Furthermore, it resolved to hold a language conference every year to complete the textbook within a few years. The conference was made possible due to involvement of many TAs and individuals, along with the Office of Tibet, NY. The new textbooks intend to develop an interest in learning Tibetan language in Sunday schools with a curriculum that constitutes innovative and hands-on learning experience using eye-catching colours, pictures, play study involving toys, etc. Large numbers of Tibetan youth are growing up in North America. The successful development of youth leadership and organisation will greatly impact the future of Tibet and the Tibetan community in the years to come. TAs and their CCs should encourage youth programmes and organisations in nurturing youth activism and critical social justice movement by collaborating with them. Youth and young adults should be encouraged to be part of organisational leadership of TAs. Their affiliate centres can greatly contribute to the development of programmes such as summer camps, youth empowerment, after-school programmes, and educational workshops. I always believe that TAs should be mature enough to work with local Tibet support groups and youth organisations to leverage all resources and potentials for our larger cause. This is something we’re missing out on. There is a great need to revive our outreach effort to connect with all our inji friends and supporters, and to lobby elected leaders at the city, state, and federal levels. TAs can also educate and encourage their communities to vote in Tibetan and American elections as responsible citizens. Voting is a critical means to ensure that Tibetan-Americans weigh in on issues impacting the community in the United States. Helping to register voters and encouraging the community to come out to vote in city, state, and federal elections can be beneficial to us in the long term. The other area to focus on should be the mental health of our community members, as our community is largely made up of immigrants facing a lot of challenges and hardships in their transition in life, and separations from their dear ones due to immigration to North America. There is still a stigma surrounding mental illness and a lack of awareness of causes and treatments, and navigating the various mental health benefits and care provided at city and county levels. Community members involve in health care professions can make a vital contribution by collaborating with TAs and individuals. TAs and community centres can serve as spaces for zones of cultural competency, where Tibetans can socialize with one another and develop an ethnic enclave leading to preservation of our identity — especially language which is an integral part and parcel of any nation and ethnic group. With foresight and competent leaderships in TAs, they can build strong communities with programmes and services offered in the interest of community members. This will go a long way in reaffirming each individual’s identity as Tibetan and fulfilling the goal of building strong, healthy, and vibrant communities in North America. The community involvement, dialogue, and objective criticism are vital in realizing the shared goal. Finally, TAs should be under direct oversight and monitoring of DIIR and the Washington DC Office of Tibet in ensuring their proper functioning and direction. 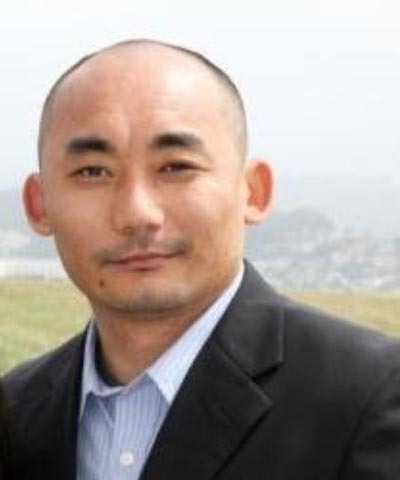 Tenzin Tsedup is a graduate in biochemistry from San Francisco State University. He is a former president of Tibetan Association of Northern California, and currently serves as board VP in Tibet Oral History Project and on the advisory board of Bay Area Friends of Tibet. More articles by Tenzin Tsedup on Tibet Sun.